The STH is a mid-range speed and torque gearbox that sets a new standard for rotary positioning performance at an exceptional price point. 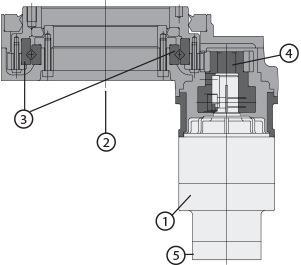 A SHIMPO planetary gearhead is the interface between the servo motor and STH hollow bore, rotary stage. The ABLE gearbox features simple mounting of nearly any small to medium servo motor, and gives the complete STH package net ratios ranging from 12:1 through 400. 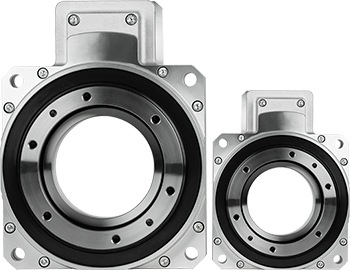 The rotary stage has very large crossed roller output bearings, allowing for impressive thrust loads and tilting moments. A generous hollow bore provides clearance for wiring, tubing, or threaded rod to be passed through to effectors, fillers, or any other active machinery. The STH fills the need for a high-performance, price competitive option to your traditional style indexers and cam units. 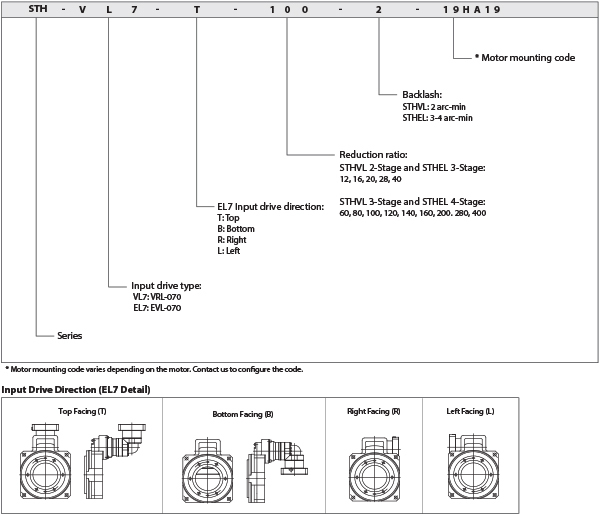 * Motor mounting code varies depending on the motor. Contact us to configure the code.